SAN FRANCISCO (Bloomberg) -- Tesla Motors Inc. has hired former Burberry senior vice president Ganesh Srivats, adding a sales executive to help the electric-car maker extend its reputation for automotive luxury to an increasingly global audience. Srivats, whose position as vice president for North American sales was confirmed Thursday by the company, will help Tesla deepen its already formidable brand into a premium lifestyle experience to go with its high-tech image, taking a cue from the kind of marketing BMW, Porsche and Ferrari have done. Srivats joins the automaker from a British fashion house known for its heritage plaid cashmere scarf and trench coats as well as digital savvy. Apple Inc. hired former Burberry Group CEO Angela Ahrendts as head of its retail operations in 2013. The new Tesla executive held strategy and retail posts for Burberry starting in 2009 and most recently was senior vice president for retail in the Americas, according to his LinkedIn profile. The North American sales job is a newly filled position for Tesla. The Palo Alto, Calif.-based company said in March that it was reassigning Jerome Guillen, who was vice president of global sales and service, to a role focused on delivery and long-term customer care and would hire new executives to lead the sales operations by region. Tesla plans to introduce its Model X SUV late in this quarter and says it will sell 55,000 vehicles worldwide this year. The automaker ended the first half with 21,552 deliveries, about 40 percent of the target. Tesla doesn’t have dealerships and sells its products directly to consumers via stores and galleries. It doesn’t pay for traditional advertising and relies heavily on free media and word-of-mouth among its customers, many of them tech-savvy early adopters. 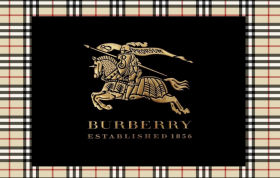 Burberry was one of the first luxury brands to embrace digital innovation, from live-streaming runway shows to launching on Periscope. The London-based company has had a makeover in the past five years, moving from conservative high-end fashion to haute couture, said Ken Harris, managing partner at Cadent Consulting Group in Chicago, which advises consumer and retail companies. The 159-year-old company with a “distinctly British attitude” has more than 4 million followers on Twitter and is led by Christopher Bailey, a 44-year-old designer who had been the company’s chief creative officer. High-end automakers like to push expensive clothing and accessories to boost revenue and deepen their relationships with affluent customers. Besides T-shirts and messenger bags, Tesla has the Tesla Design Collection, which includes a $300 tote bag, $100 sheepskin leather driving gloves and a $40 iPhone sleeve. Similarly, Porsche sells watches, luggage and other accessories under the Porsche Design brand. Ferrari also offers clothing, shoes and even a cigar box under its brand name. BMW and its Mini brand also sell pricey accouterments.